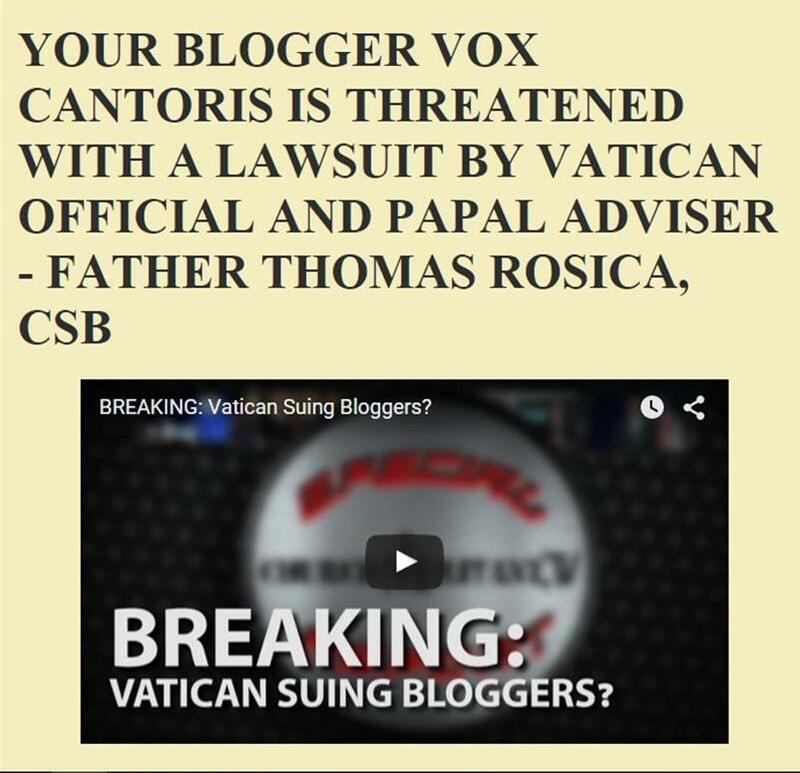 Vox Cantoris: Is Pope Bergoglio about to purge the number two in the Conclave - Ratzingarian Marc Cardinal Ouellet? 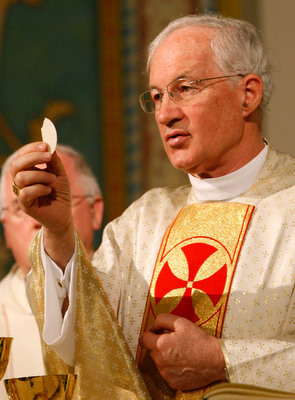 Is Pope Bergoglio about to purge the number two in the Conclave - Ratzingarian Marc Cardinal Ouellet? Those of my contacts who know him, know him to be a most humble and faithful man. He is intelligent, gentle and speaks at least five languages. Rumour has it that, before the final ballot, there was a strict conservative (Scola perhaps? ), Ouellet and Bergoglio. Ouellet saw that on the next ballot, he was going to be Pope. He panicked and begged the Cardinals not to vote for him again. They didn't and we have the result we do. The most important job a Pope has is the appointment of bishops. Fortunately, he was able to rebuild much of Quebec's episcopacy under Benedict XVI and no major Sees in Canada are opening soon. Maybe we can dodge a bullet in the next two years. It matters not, he remains, papabile. Actually the archepiscopal see of Regina is vacant and due to be refilled this year. It would be nice to see someone more faithful than the heterodox Bohan appointed, but I expect with near certainty this won't be the case. Assuming they appoint an existing bishop, a likely candidate is the neighbouring bishop of Saskatoon, Bolen, who not only is very young but a disciple of Kasper. You have previously covered this man on this blog. God help us. On the other hand Vox, I hadn't been aware anything good had been done with Quebec? The dioceses there, including Montreal, still seem a total disaster of heresy, but if there bright spots I wasn't aware of please correct me. Yes, you are correct; I had forgotten about Regina. The province is a mess to be sure. The Archbishop of Montreal has a solid reputation amongst those who should know. My sources indicate that more than two-thirds of Montreal's priests have written to Rome to have him removed and it's note because he's an effeminate. I've not heard about the Auxilliary just appointed but the first one is also solid. I've heard good things about the new bishop in Joliet from someone who should know. They have a massive job, no doubt. Lepine in Montreal was not on anybody's list but Ouellet's; the "establishment" was apoplectic. With the Cardinal now gone to eternity, he should be made a Cardinal. Here's my bet that it will be a cold day in Hell before Francis makes him, or Chaput in Philadelphia, Cardinals. I would like to be wrong. He should have allowed the Cardinals to vote for him. Then maybe we wouldn't be in this mess. It seems there is not much that can be done about a Pope who is intent on manipulating the episcopate to Cavour a left-wing sgenda. Or perhaps what can be done by the independent press is to scrutinize and expose this agenda for the whole Church to see. We need independent Catholic journalists to do that. His cowardice at the moment of his greatest calling makes me heartsick. He may be a humble and faithful man, but his "non serviam' to God has brought utter decimation upon the flock. Maybe not. Maybe Bergoglio was meant to be for a reason. You're correct Vox. Our Dear Lord does allow things to happen for a reason. It's not clear yet what the reason would be, but one thing I can say, this Pope has managed to get the attention of all of us, not only of 'traditional' Catholics but even the 'neo Catholics' as well. This Pope has managed to call attention to the true faith of the Catholic Church and put it FRONT AND CENTER for EVERYONE!! Was thinking the same thing about Our Lord using everything for good, so present in my own lfe. Pope Francis has been able to reach out to a world which has felt abandonned. The last 2 Popes have truly strengthened the faithful after the abandonment following Vat ll. But only those seeking to carefully see (finally for myself and possibly many of us) the depth and true value of church teachings. Most people outside will not have the years of searching. We can help here if we cease to speak to them with all of the information we have, but by a living out ofour faith. I believe we have been 'sifted by satan" almost to the point of despair. Sites such as this will continue to challenge, inform and feed us. I believe the call of some of us may be to be standing just at the entry gate. Our call may be to ask for the grace tomerely live as the early church did. Together ith those who deeply sfeed us, I think some of us at the bottom rung can help those searching honestly for truth. Pope Francis may bring people in to the church who felt unworthy, who were afraid of censure only. Our humility and aceptance could possiblly bring them in to mature in their faith and search for deeper truth. Please god, guide. And thank youfor this site of truth! Thank God that His ways are not ours, for were this not so, I would fear that the present pontificate could well be the end of Holy Church. Pope Francis' insistence on ambiguity, even when asked to clarify his teaching, seems to mean that he wishes to encourage heterodox doctrine to flourish within the Church. I trust that, with as little scandal as the Holy Spirit allows, we shall all become aware that his Majesterium has been, in reality, suspended. However, as I am not the Pope, who am I to judge? Pray for the Pope.